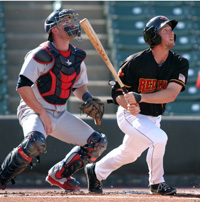 Third baseman’s role and positioning for baseball cuts and relays. With a play looming at home plate on a ball hit to an outfielder, you must know when and where you need to be as a potential cut off man. 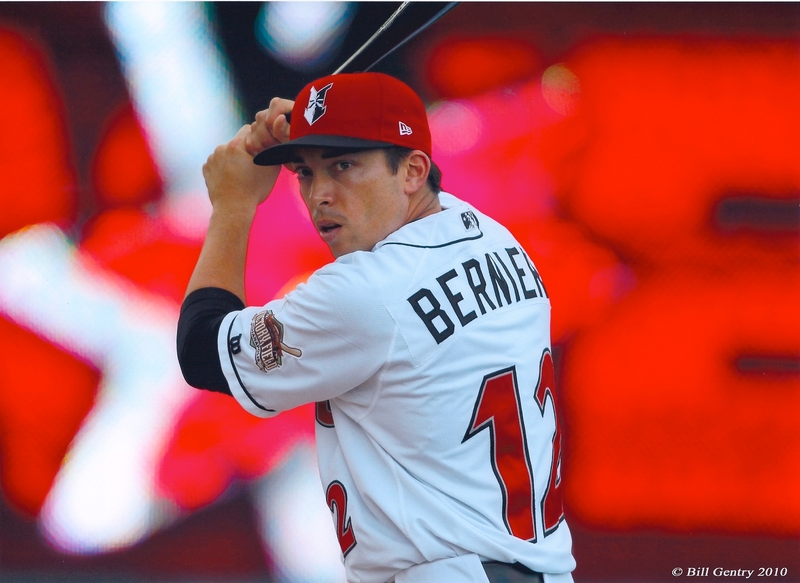 It is mostly pretty basic for the third baseman. The only time you will need to be a cut off man is when there is a play at home plate and a ball is hit to the left fielder. If the ball is hit to the center fielder or right fielder the first baseman will be the cut off man and your responsibility will be to cover third base. Summary of Cut-off and Relay positioning for Third Baseman. The 3rd baseman is the lead cut-off man of a double cut when: Never. You are covering third base. The 3rd baseman is the trail man when: Never. You are covering third base. The 3rd baseman is the cut-off man for a relay to home plate if a single is hit to left field and there is a runner on 2nd base. On a ball hit to the left fielder and a play at the plate the 3rd baseman needs to get to his cut off spot. This can vary slightly depending on the arm of the left fielder. From your position, run in towards the catcher and be in a straight line between the left fielder and the catcher. Ideally you would like to be about halfway up the 3rd base line (40-45 ft. from the catcher) to field the throw. This spot is ideal because you can see the ball coming in from the outfield. You can see the runner coming down the third base line as well as the ball so you can make the decision to cut the ball or let it go. Also, you can see what is happening on the bases since they are in front of you. 95% of the time, if you cut the ball you will not be throwing it home. You will redirect it to another base to get an out. The play is usually too close at home plate and with the time it takes to cut the ball and re throw it home, it will be too late. If you are unsure if the runner will be out at home plate and you see another runner on the bases being to aggressive, cut the ball and get the out. If the throw is off line (if you have to move, because you are already in line with the outfielder and catcher), cut the ball and look somewhere else for an out. On a base hit to left field, trickle down to the cut off spot. However, unless he falls down, there’s no chance to get the runner at home. The throw should go to second base to keep the hitter at first base. On a fly ball to left field with less than two outs, and the runner at 3rd tagging up trying to score, get in your cut off spot and watch the play develop. Make your decision based on what is happening at other bases and how good of a throw the outfielder makes. The shortstop will be covering third base, so you don’t have to worry about the bag. Fly ball to an outfielder, you will stay at third base and be ready to receive a throw if a runner tags up. If a flyball is hit to the left fielder and he drops it, be at third base but then just take a few shuffle steps toward second base so you can be in line with the outfielder and catcher. This is protocol because if the outfielder misses you, his throw is still on line with the catcher. The runner however will probably just stay at third unless he is being extremely aggressive. Always expect aggressive and then ease up. It is easier to ease up then to speed up. 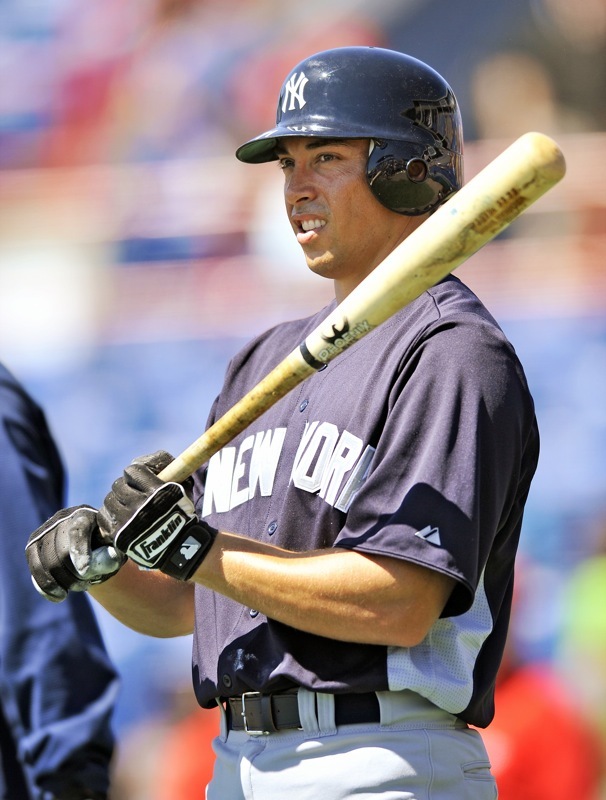 Base hit to the left fielder, get to your cut off position and let the play dictate what you will need to do. The shortstop will be covering 3rd base, so you will not have 3rd base responsibility. 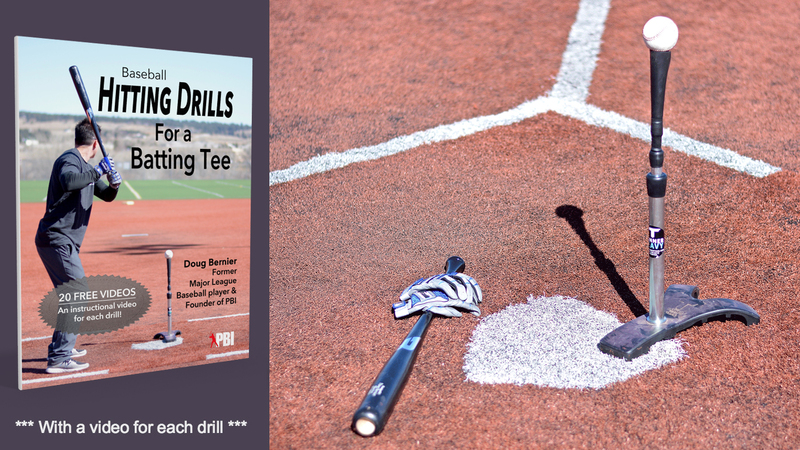 Looking for hitting drills? 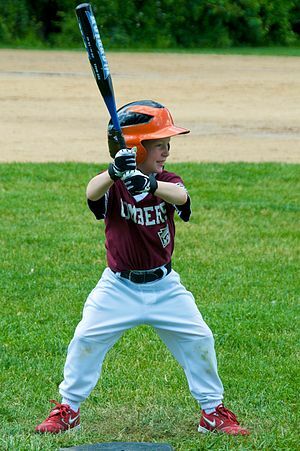 Increase power and average, and fix common flaws in your baseball swing, with these 20 baseball hitting drills and free videos to show each drill. Click here to get it for less than fifty cents per drill. Most teams will use this cut off method. However a new trend that a few MLB teams are starting to trend towards is that the 3rd baseman will take cut off throws from the center fielder. The idea behind this rotation is, if there is no possible play at 3rd base (no runner at 1st base) than the 3rd baseman will be the cut off man on a ball to the centerfielder. This is so the 1st baseman can stay at his bag and if the ball is cut off, there may be a play at 1st base if the hitter takes a large turn around the 1st base bag. The 1st and 3rd baseman need to be in constant communication because if there is no runner at 1st, the 3rd baseman will be the cut off man on a ball hit to center. If there is a runner at 1st and 2nd or bases loaded, than the first baseman will be the cut off man. It can get a little confusing because most people were taught the other way. Also in the traditional way of taking cut off throws to home plate, the second baseman should be covering first base, so if the first baseman wanted to cut the ball and get the hitter making to big of a turn around 1st base, he can. Third baseman beware of the runner at second base. Sometimes when you are trying to get into your cut off spot, you and the runner can get tangled up. Make sure to stay out of his way. On an interference call he could be awarded home plate. If the third baseman does take the throw from the center fielder, he needs to be just behind the mound (between mound and 2nd base) and let the play dictate what to do. Stand behind the mound so if the ball hits the ground it will not hit the mound and kick away from you. 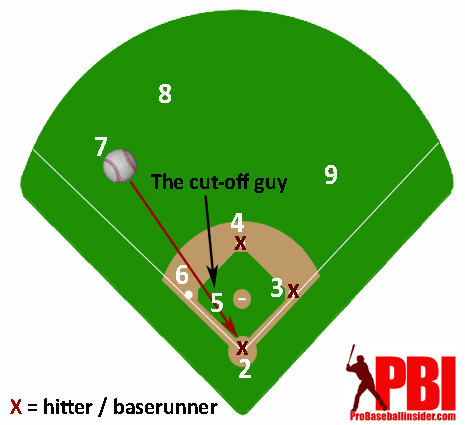 Double Cuts and Relays – Baseball Cutoffs and relays diagram for the various scenarios when a relay or double cut is needed. The 3rd baseman may not be involved in the relay, but he still has a role to play. This article helps you know what to expect and provides visual explanations for what’s happening on the field. Relay Fundamentals – Pro tips for getting the job done when you are the guy doing a relay throw. I took over a team that has been taught for years the 3rd baseman is the cut or relay on any ball hit to left and the short stop is to cover 3rd base. I have been trying to fix that, but last night in a MLB game I saw a no runner on ball hit in the left center gap and the short stop ran to third and the 3rd baseman went out to be the relay. The first time I have ever seen that. I would think you would always want your more athletic player (shortstop) running around in the outfield on any ball hit out there. Is this a new thing?